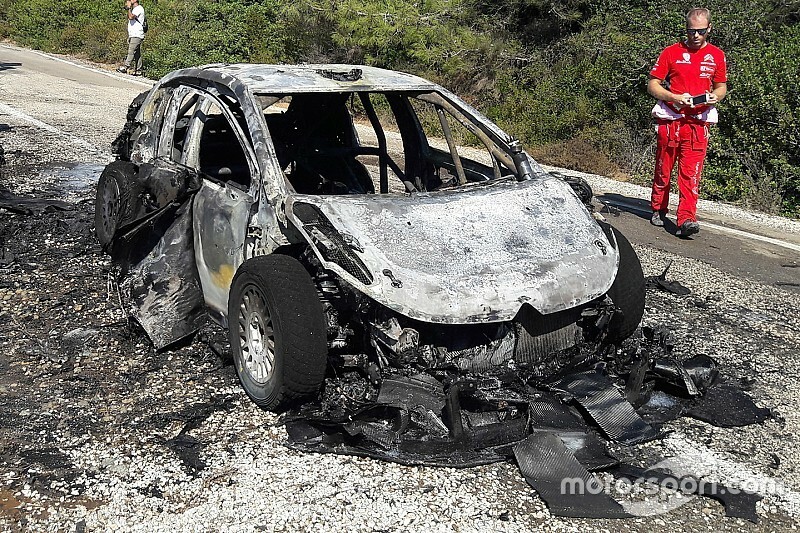 Citroen will fully investigate the cause of the fire that destroyed Craig Breen’s C3 World Rally Car in Turkey when the shell arrives back at the team base this week. 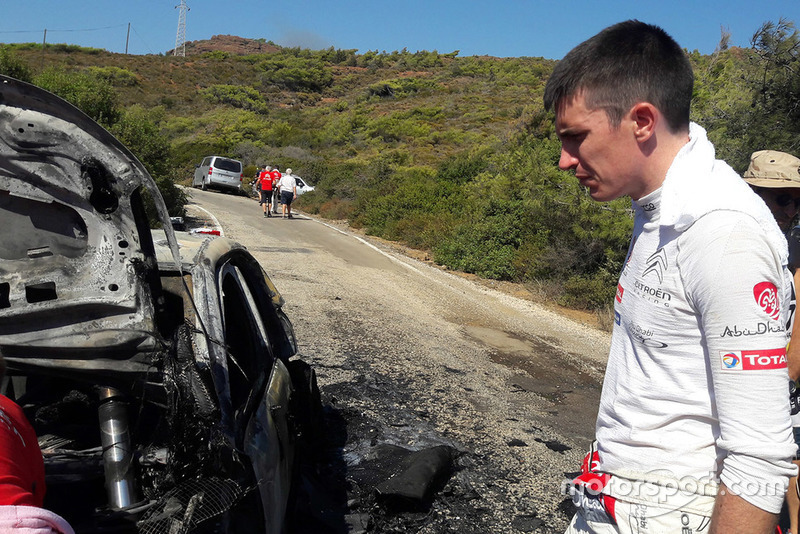 Breen, who had led Rally Turkey on the opening day before being delayed by damaged tyres, was slowed by smoke coming into the cockpit on the second run through the Datca test on Saturday. 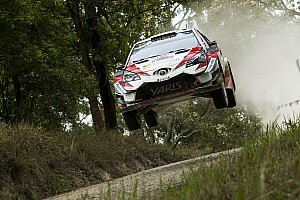 He stopped twice to check the car, but continued as he and co-driver Scott Martin were unable to detect the fire. Breen put the car into 'road' mode to reduce under-bonnet temperatures, which stopped the smoke. Then when he jacked the Citroen up to check underneath it at the end of the stage, it caught fire and burned out of control moments later. 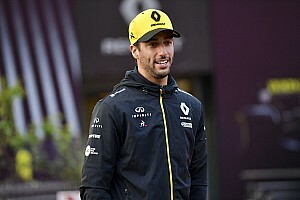 "It's a heartbreaker," Breen told Motorsport.com. "I couldn't believe it, it just went so quickly. 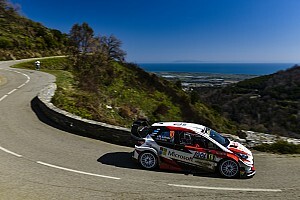 "Ott [Tanak] was first there and as soon as I saw him I thought: 'He knows what it's like, he's the right man…' after he managed to save his car when it went up in Portugal a couple of years ago. "Without a second thought, he gave us his extinguisher, which is a pretty big thing because it could potentially have compromised his event – but that's the kind of guy Ott is. "Neither of the extinguishers touched it and in the end Ott had to pull me away from trying to chuck bottles of water on the thing. It was unbelievable." Citroen team principal Pierre Budar told Motorsport.com: “We can confirm there was a leak in exhaust gas from the catalytic converter, but after that we don't know. "We cannot talk more about what might have happened, because simply we don't know and the car was too badly damaged. “We will investigate further when we get it back to the factory this week, but for now all we can say is that we had a failure with the catalytic converter – that much we do know." 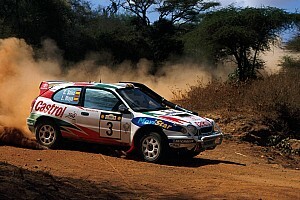 Breen admitted he thought the situation was under control when he reached the end of the stage and the smoke had gone. "We turned it into 'road' mode and that knocks the anti-lag off the turbo, so instantly the turbo's running a lot, lot cooler," he explained. "With the heat of the event and everything, I thought we had burned through a heat shield or something like that."